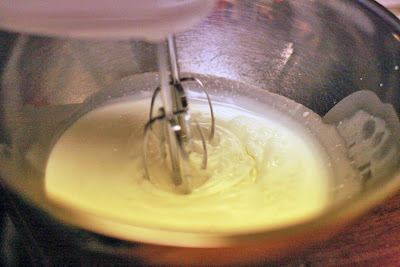 Another Lansingh favorite is a recipe introduced to us in Maine by my great-aunt's caretaker. 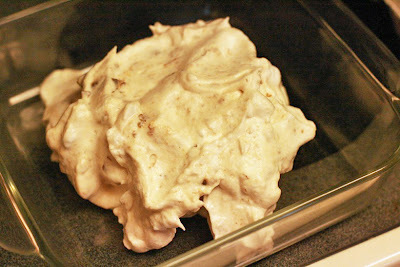 Called "prune whip," it's a moist, fruity meringue topped with whipped cream. 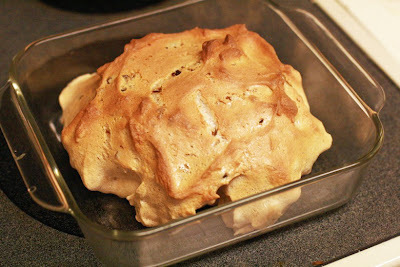 This is the one that was busted out for every birthday, every good report card, and, to this day, every visit home. 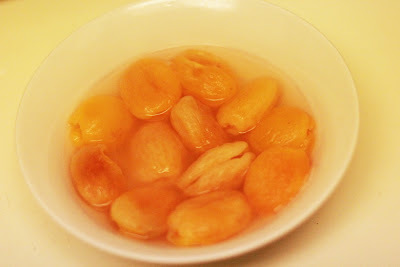 Unfortunately, prunes don't exactly stir up warm, sweet feelings in most people, and the name has never enticed anyone to ask: Hey, can I try that? 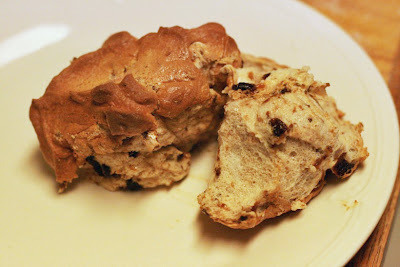 That led me to experiment with different dried fruits, wondering if I could match the intensity and texture with a more common desserty fruit. 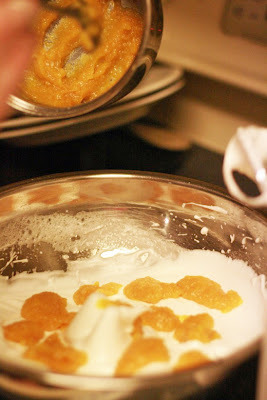 After many different iterations, I've perfected an apricot whip — a lighter, springtime version of the dessert that is just as flavorful. 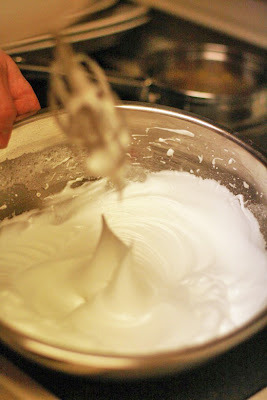 (Prune whip has a richer, deeper flavor.) 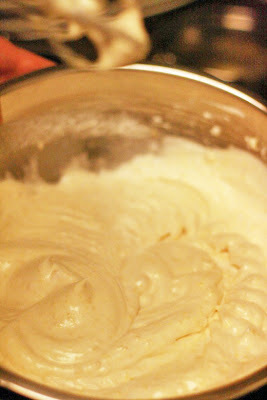 Both are going to be making appearances in our house for a long, long while. 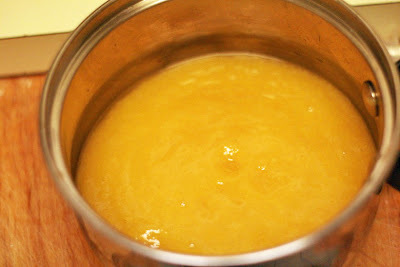 2) Puree apricots in food processor with the hot water until completely smooth, with no lumps. 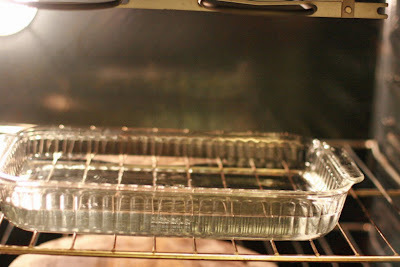 3) Heat oven to 350°, with a 9x13 pan filled with water to 1/3 capacity resting on the center rack. 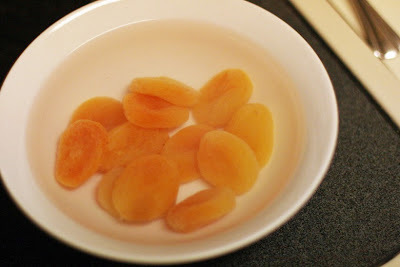 4) Simmer apricots in a small saucepan at just above low heat for 15-20 minutes, until mixture is reduced to where it holds its shape when stirred. 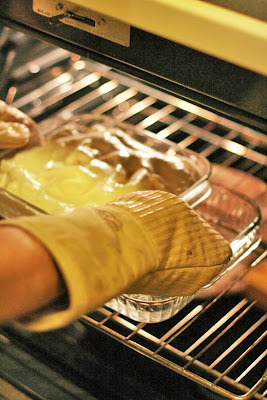 (You'll need to cook longer for doubled recipe.) 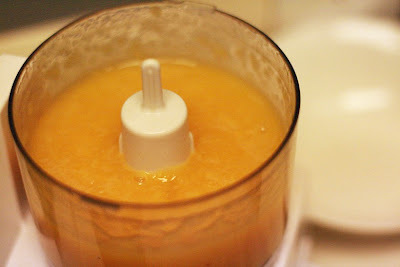 It should be just about 1/4 of a cup of thick pulp when finished. 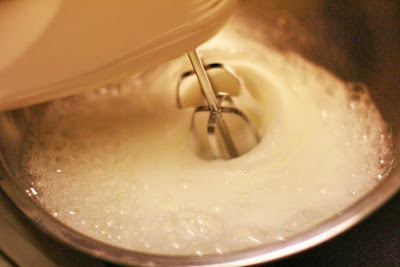 5) With an electric mixer, beat egg whites and salt until frothy. 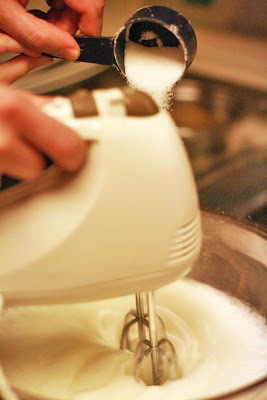 Gradually add the sugar until mixture is thick, slightly shiny, and holds peaks. 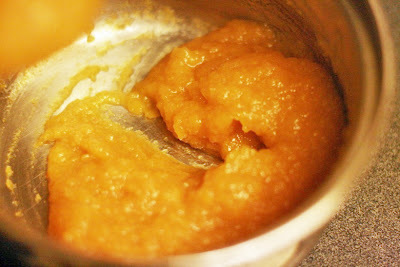 6) Add apricot mixture in small globs, and beat on lowest speed until just mixed in. 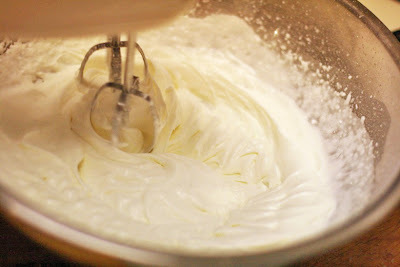 8) With about five minutes remaining on the meringue, beat the cream, vanilla, and powdered sugar in a large bowl to make whipped cream. 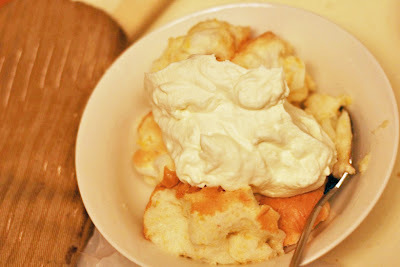 9) Serve the apricot whip immediately, warm, topped with a generous dollop of whipped cream. 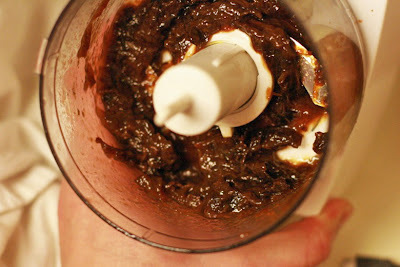 Microwave the prunes with about 1/2 cup water for 5 minutes. 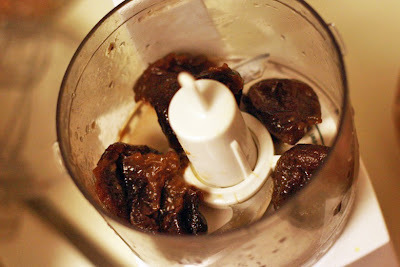 Discard the water, place prunes in food processor with the lemon juice, and pulse until prunes are turned completely to pulp. 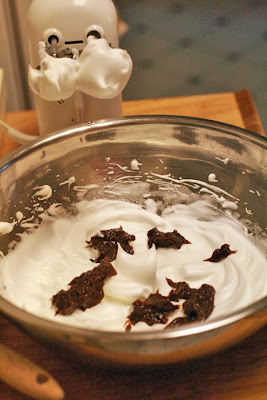 You should end up with about 1/4 cup prune pulp. 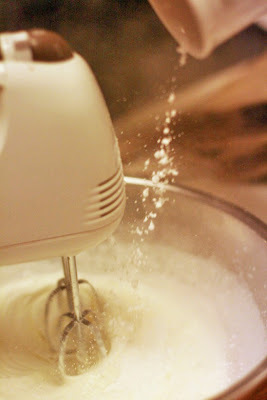 Then follow the apricot whip instructions to complete. 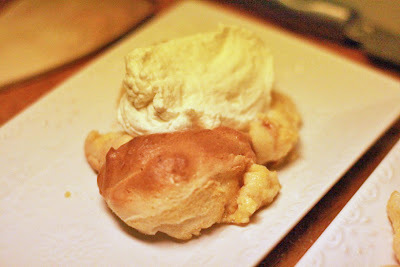 These pictures are from the smaller recipe, so you can see the difference in size. 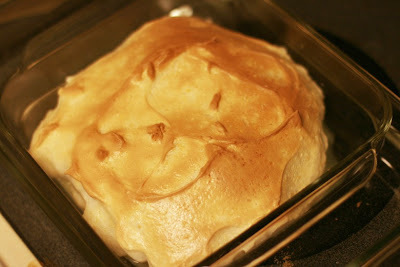 You can get more of the "crust" by not smoothing it down, if you wish.